Interaction Advisory Group was co-founded by Dustin Chandler and Kirchner Group (a traditional merchant banking firm), to provide customized special needs awareness and training for first responders as well as other public service officials, educators and private sector workers (hospitality professionals, etc.). 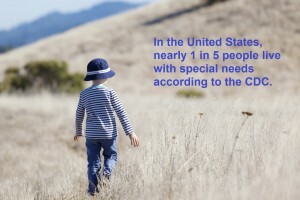 Interaction Advisory Group is focused on the dynamics between you and people with special needs. The Interaction Advisory Group believes that true inclusion and acceptance for all individuals with special needs is integral for our future. We aim to improve the engagements between those with specials needs and society at large. Interaction Advisory Group is not only dedicated to providing the gold standard in training services, we are also dedicated to supporting our local schools and classrooms. Dustin Chandler is a former certified police officer in the state of Alabama. During his nearly decade-long career he served with two Tactical Units as well as a Special Operations Group. In 2012, Dustin’s second child, Carly, was diagnosed with a devastating neurological and seizure disorder called CDKL5 (cyclin-dependent kinase-like 5). CDKL5 is a rare genetic disorder that results in early onset, difficult to control seizures, and severe neuro-developmental impairment. Dustin is a full-time advocate for children and adults with disabilities. In 2014, he began and led a statewide effort in Alabama to legalize the use of High CBD and Low Thc Oil for the treatment of refractory epilepsy. The legislation known as Carly’s Law is the first bill of its kind to pass unanimously in the Alabama House or Senate. Dustin has spoken on the floor of the Alabama House of Representatives. He has trained law enforcement, fire fighters, EMTs and other first responder units. He has appeared on local television to educate the community and national television to bring awareness to the tens of millions living with special needs. To learn more about Dustin read his full bio. Kirchner Group believes that every business, and every portfolio of businesses, can be made more valuable and that none should become valueless, regardless of the circumstances. Kirchner Group’s proprietary platform is built on the premise that pairing deep domain expertise with process experts provides superior results. Kirchner Group has a significant focus on ‘impact activities’, defined as those with the intention to generate a measurable, sustainable, beneficial, social and/or environmental improvement. Kirchner Group provided financial support through its impact activities along with operational as well as market support via its merchant banking services in co-founding Interaction Advisory Group. To learn more about Kirchner Group visit their website.